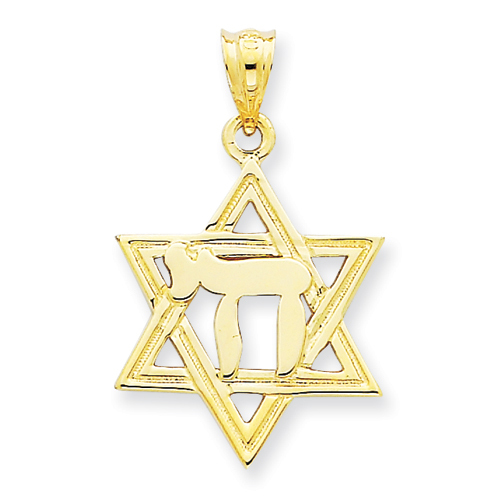 14kt yellow gold chai in Star of David charm has a polished finish. Item measures 11/16 inch wide by 3/4 inch tall without loop and bail. Popular to a Jewish tradition, chai is a symbol of well-being and best wishes. The word chai means alive, life, or living. Weight: 2.04 grams. Made in USA.